A bill to create a tightly-regulated medical marijuana program passed the New York Assembly Monday on a 95-38 vote. The bill now goes to the Senate, where three previous medical marijuana bills approved by the Assembly have died. Advocates are turning up the heat on the Senate to finally approve the bill this year. "This is a medication, far safer than many of the medications we already use, that has been proven effective for chronic and neuropathic pain, appetite stimulation, and nausea," said Dr. Howard Grossman, a New York City-based physician and chair of NY Physicians for Compassionate Care. "As doctors, we want to do what's best for our patients and that includes recommending medical marijuana for some patients. We urge the Senate to do the sensible and humane thing and pass the Compassionate Care Act now." "New Yorkers living with cancer, multiple sclerosis, HIV/AIDS and other serious illnesses have waited long enough," said Gabriel Sayegh, state director of the Drug Policy Alliance New York Policy Office. "This is a simple matter of compassion. This is the fourth time the State Assembly has passed a medical marijuana bill. Now it's long past time for the State Senate to act. The science is clear. The moral and ethical needs are obvious. The only thing holding this up is the Senate. Listen to the science, to healthcare practitioners, and to the vast majority of New Yorkers who support this proposal. It’s time for the Senate to pass the Compassionate Care Act." The Compassionate Care Act (Assembly Bill 6357) would allow practitioners to certify patients with serious, debilitating illnesses to be able to use medical marijuana to relieve their symptoms. Patients or their caregivers could possess up to 2 ½ ounces. Medical marijuana would be available through state-registered organizations. The vote came just days after New York City Mayor (and former pot-smoker) Michael Bloomberg spoke out against medical marijuana, calling it "one of the greatest hoaxes of all time." That opinion is not shared by New York residents, 82% of whom supported medical marijuana in a recent Siena poll, including 81% of both Republicans and Democrats. Nor is it shared by more than 600 Empire State physicians who agreed with NY Physicians for Compassionate Care that New Yorkers should be able to use medical marijuana. They announced their support for the bill last Thursday, a day before Bloomberg commented. 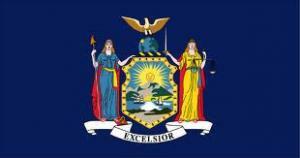 The bill has the support of hundreds of patients and providers and dozens of organizations across the state, as well as wide support from healthcare providers and organizations, such as the New York State Nurses Association, the Collaborative for Palliative Care, GMHC, New York State Pharmacists Society, NY Physicians for Compassionate Care, and the Hospice and Palliative Care Association of New York. "We applaud the Assembly for taking this step and passing the Compassionate Care Act. The New York State Nurses Association supports this legislation because it creates a carefully controlled system allowing seriously ill New Yorkers access to the therapeutic and palliative benefits of medical marijuana under the supervision of their healthcare provider," said Jill Furillo, the association's executive director. Now, all eyes are on the state Senate.